Maruti Suzuki Swift - Iconic premium hatchback comes with an exciting new global design. Third Generation Swift is peppier, roomier, cleaner with advanced safety. Fiat India launched its updated model Punto Evo hatchback, at price tag 4.55 to 7.20 lakh. Honda Cars India on Wednesday July 23, 2014 launched its new Multi-Purpose Vehicle (MPV), the Honda Mobilio at a starting price of Rs 6.49 lakh. Ford has launched the 2014 Fiesta for a price starting Rs 7.69 lacs (ex-showroom Delhi). With its best-in-class driving dynamics, design and in-car technology, is a complete package in this segment. Renault has launched the new Travelogue Edition of its Scala sedan, with a wide range of exclusive features. Toyota Motor launched the new Etios Cross in India.The vehicle is a crossover with the rugged looks of an SUV and the fuel efficiency and maneuverability of a hatchback. Fiat has launched new Linea 2014 at Rs. 6.99 lakh ex-Delhi showroom price. Fiat had introduced the Linea in the year 2009 and since then, this is the first time that this car got a facelift. Maruti Suzuki launched their much awaited hatchback, the Celerio at an introductory price of Rs 3.90 lakh. This car features the Automated Manual Transmission (AMT) which the company calls as the EZ Drive. Honda Brio, the much awaited small car launched with a 1.2 litre petrol engine and affordable range of Rs. 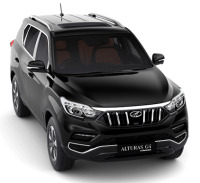 3.95-5.1 lakh. Toyota expanded the Etios product range by announcing the launch of the diesel variants of Etios and Etios Liva. Ford launched the All-New Ford Fiesta in July. The exclusive and premium All-New Fiesta sedan is first of the eight new global vehicles slated for launch in India. Equipped with advanced 1.0 XSDE SMARTECH engine, Beat Diesel promises a whopping 24 km/l* mileage for really long drives. To lure the indian customers to the showrooms, Ford has launched new variants of Fiesta. The New Fiesta was launched with a few changes made to the front bumpers, headlights, and the grille. New WagonR - The Smarter Race - The 1061cc MPFI low friction engine delivers an awesome 64bhp@6200rpm power for smoother pick-up and faster acceleration, making it an ideal choice for the smarter race.